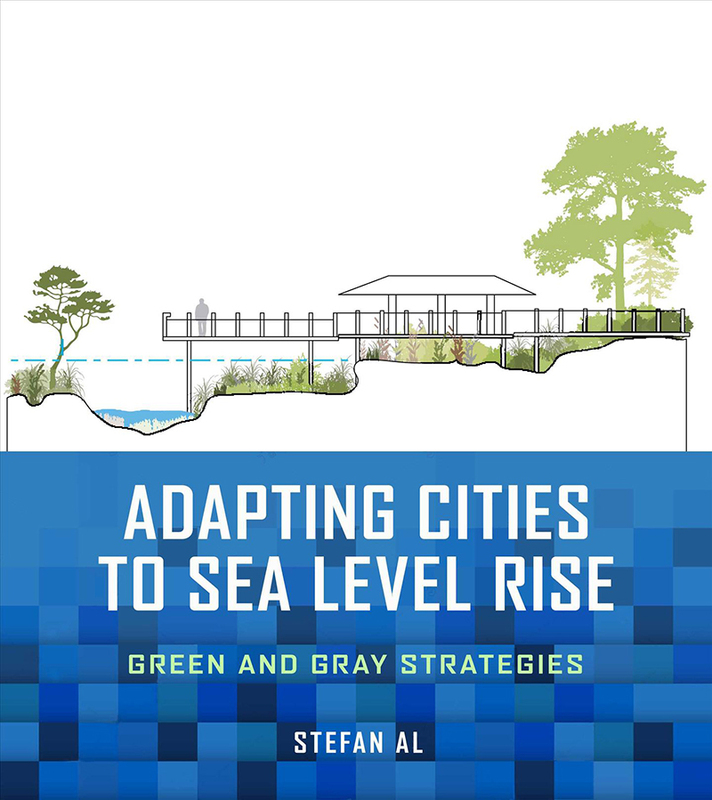 Adapting Cities to Sea Level Rise, by infrastructure expert Stefan Al, introduces design responses to sea-level rise, drawing from examples around the globe. Going against standard engineering solutions, Al argues for approaches that are integrated with the public realm, nature-based, and sensitive to local conditions and the community. He features design responses to building resilience that creates new civic assets for cities. For the first time, the possible infrastructure solutions are brought together in a clear and easy-to-read format. It seems like it wasn't so long ago that architects, landscape architects, and urban designers were designing for sustainability in an effort to keep carbon emissions from increasing global temperatures to the generally agreed upon ceiling of 2 degrees Celsius. But this decade resiliency has usurped sustainability this decade, since at least Hurricane Sandy in 2012, the strong impacts of climate change being felt each year since, and the realization that the carbon already released into the atmosphere will move us past that 2-degree scenario anyways. 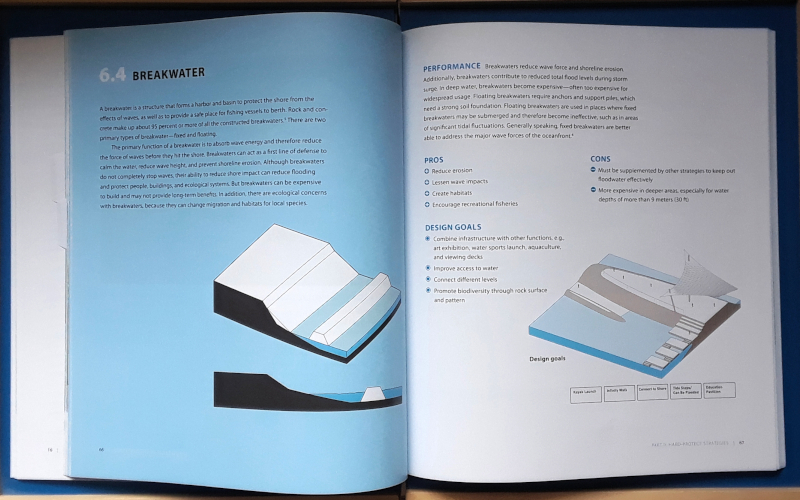 Therefore designers of the built environment must deal with the impacts of climate change (rising waters, sever weather occurrences, water shortages, etc. ), as well as designing energy-efficient buildings, landscapes that clean the air and water, and cities that prioritize walking over driving. 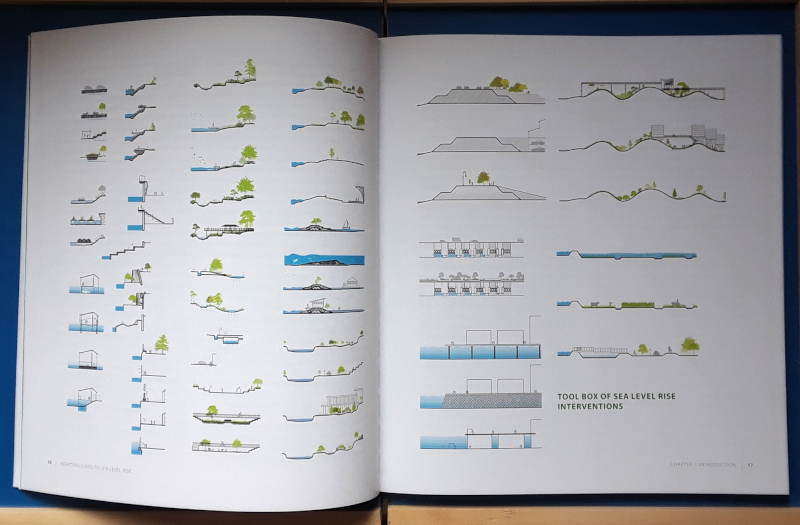 With this in mind, it's no surprise to see a book guiding designers and decision makers in one aspect of the crisis we find ourselves in: adapting cities to rising sea levels. 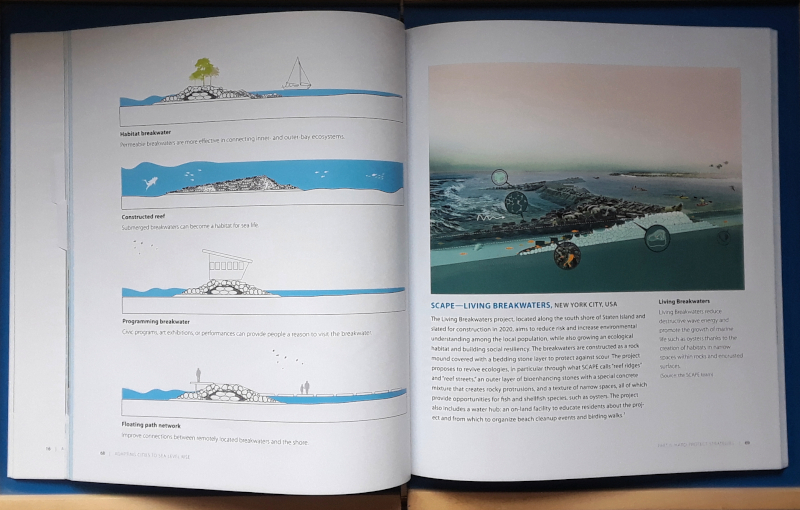 Pulling from a number of international case studies, Stefan Al's abundantly illustrated book walks through the various strategies that designers and cities can consider now and in the coming years as rising sea levels pose a threat to waterfront developments. 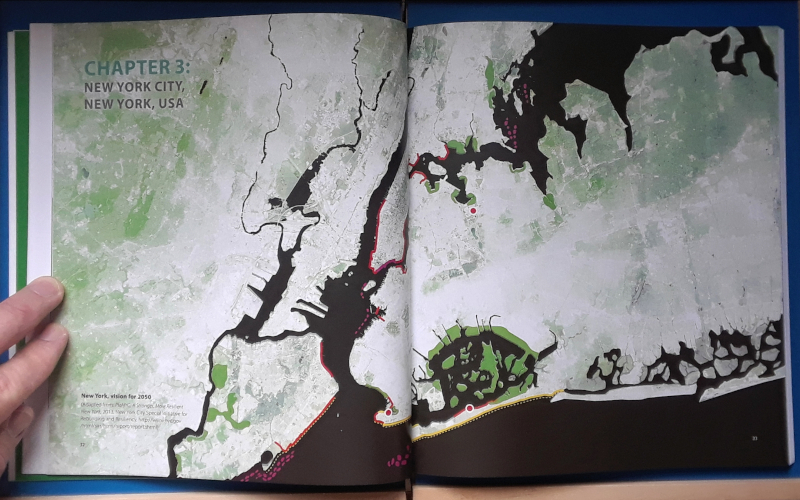 After an introduction that summarizes clearly how we got into this situation and broadly what can be done about it, Al hones in on four cities (Rotterdam, New York City, New Orleans, Ho Chi Minh City) and examines their strategies for dealing with storm surges, coastal flooding, and the like. (Recent news illustrates how implementing these strategies is both slow-moving, highly contested, and even politically vexing.) The second part of the book presents various "local strategies" of the four types outlined in the introduction: hard-protect strategies, soft-protect strategies, store strategies, and retreat strategies. No one strategy is universally ideal, and in many cases multiple strategies can be used in one place. Al's clear, consistent diagrams mean that politicians and other decision makers -- not just designers -- can understand how the strategies work and what would be the best fit(s) for their situation. Stefan Al, PHD, is an architect, urban designer, and infrastructure expert at global design firm Kohn Pedersen Fox in New York. He is a native of the Netherlands, a low-lying country that would not exist without flood protection.